It's the right mix of emotions, sawdust, sweat plus a heart-string story that makes Extreme Home Makeover, the TV show, a success. Not to mention that well-deserving family gets a home totally paid for with a million dollar price tag. It really is a show of community, support and healing. I don't have a problem with that. But I don't watch that show. 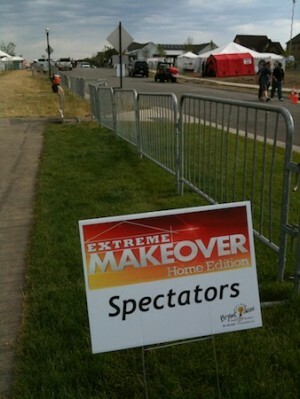 Extreme Home Makeover certainly has helped a lot of communities and has given many families a brighter future by making major home improvements. They have the reputation of being honest with their intentions and doing a ton of good things. Every week, they also highlight wonderful companies that have exhibited over-the-top generosity. Each episode is packed with many moving moments and plenty of tears. It's not that I am against home improvements, because I am not. I am all about making home spaces appropriate and adequate. But I can't watch....because...It breeds discontentment in my heart. When I see each episode, I forget how blessed I am. I have the natural urge to compete, I want to line my house up next to the guy next door. And then, in true competition (it's sad but true)....I want you to chose my house over the other guy's....from what you see from the driveway. 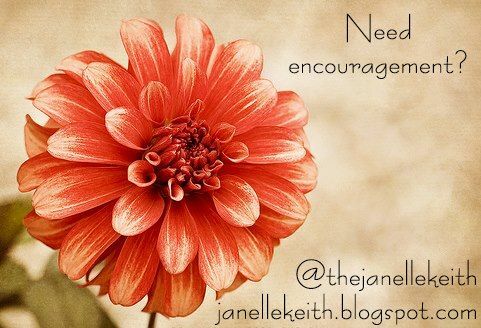 The discontentment fever doesn't stop at the front door, it spreads to every other area of my life. Be skinny like Jillian Michaels. Be published with a book series with a sequel already written. Placing a stick of dynamite in my blog stats and be read around the globe. Be better than my neighbor at anything or something. I have remember that God hates my comparison sheet. This competitive sport of comparison are deadly. Comparison brings disgust in His heart. 2 Corinthians 10:12 says, "We do not dare to classify or compare ourselves with some who commend themselves. When they measure themselves by themselves and compare themselves with themselves, they are not wise." It's not a good practice to measure myself by the standards of man. Eventually there is always someone who is prettier, skinnier, smarter, faster, more connected, blogs faster and better plus has more readers or is just all around better than me. It makes me prideful, resentful and ungrateful. "We say that people are proud of being rich, or clever, or good-looking, but not really. They are proud of being richer, or more clever, or better-looking than others. If everyone else became equally rich, or clever, or good-looking, there would be nothing to be proud about." ~ C.S. Lewis. Knowing who are in Christ is also knowing who you don't have to be. My danger in the sin of comparison is that I find myself looking to other people for my value and determining my value by how I compare myself with other people. It's fine for bargains, cars, and shoes… but not for people, not for things that matter, not for matters of faith. When I compare, I focus on the "i". The list lengthens of who gets what. The best car, the higher paying job, designer trinkets, or even the most talented, the bigger blog, or even who has the latest iBook, iMac, iPhone or iPad, or anything in the land of shiny things. The measure of men doesn't satisfy. and He thinks I'm pretty special just like I am..
"I am not saying this because I am in need, for I have learned to be content whatever the circumstances. I know what it is to be in need, and I know what it is to have plenty. I have learned the secret of being content in any every situation, whether well fed or hungry, whether living in plenty or in want. " Philippians 4:11-12. It is so hard not to compare! Love the verses from Philippians!! Goodness....I needed to read this!!! I try very hard not to compare myself....but it sneaks up on me sometimes!!! Thank you for being so honest in your writing!!! Blessings!!!! I agree with what you said about there always being someone out there that is "better" than you to others. But I have to remind myself constantly that I am Gods favorite me!! Love you, friend!! Great blog!! So true Janelle! It is so easy to get distracted by the beautiful home in Better Homes and Gardens, the stories on HGTV, and even the options on Pinterest. It is so easy to fall into a comparison mindset and forget to open up to the blessings we already have! Thanks so much for the reminder to recognize, embrace, and tend to the blessings in my life!! Thanks, I need to memorize these verses and remember the point of 'being grateful' for all the wonderful blessings I do have. I have more blessings daily, many I do not even recongnize.